This program is incredibly useful for individuals who require sign language to communicate. This application specifically shows a 3D model performing a sign, and the meaning of the sign under it. It allows family members or professional assistants to gain access to learning tools. These learning tools can accommodate the learning needs of either the disabled person, or the people who wish to help. It can also be used in social situations where the disabled individual needs to communicate with someone without the aid of a translator, though other text to speech devices can accommodate for that more directly. The price range of the application varies based on the amount of words you want access to. $5 is the maximum price for the ultimate edition. Granting additional accessibility to the phone through vocal interfaces, these free applications allow you to use your device with less hands-on interaction to facilitate certain aspects. This works for various utilities, such as managing and typing texts, turning on different settings (wi-fi, flashlight, different applications), and increases overall function ease of a tablet or smartphone. For people suffering from general immobility, these are the perfect free applications. Tecla Access requires additional hardware, but provides accessibility for people with less mobility through a keyboard and microphone that can attach to a wheelchair. These two different applications are paired together because they both facilitate phone use for the hearing impaired, and are available for free. The specific preference for one application depends entirely on the severity of hearing impairment and the type of utility you desire. Hamilton CapTel provides a captioning service that allows the phone to transfer the audio in calls into text through the application. This gives you the capacity to read any calls you receive, and can make communication dramatically easier for the hearing impaired through the phone. For individuals that simply require a hearing aid, SoundAMP gives the phone a volume boost to accommodate for people who don’t want to worry about potential inaccuracies through Hamilton CapTel. It’s optimally suited for people that still have a capacity to hear, though it comes down to personal preference when it comes to which application you want. This application helps resolve communication issues by providing versatile utilities. Sentences can be built either by typing out messages, or tapping on pictures that can be assigned to different words. It has access to a lot of customization features, allowing you to build the interface with custom pictures and categories in order to facilitate sentence building as much as possible. Helping the immobile travel, this free application informs the user of any nearby handicapped parking spaces available. The application requires the assistance of the user to update the map of accessible parking spaces, but will facilitate travel by allowing you to learn if destinations you want to travel to have access to handicapped spaces. It also allows you to report any situations where you see someone parked in a handicapped parking space illegally. Updated constantly through user information, this application is always developing to better acclimate itself to user needs. 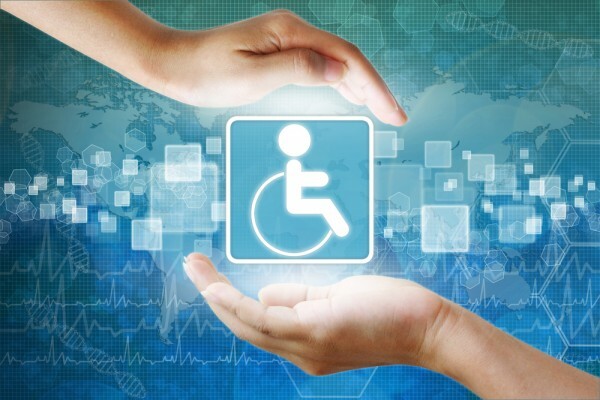 Developers have taken opportunities to use technological innovation as a way to facilitate disabled lifestyles. Quality of life can be accommodated for in a lot of ways, and these applications make communication, travel, and general phone accessibility easier to manage. Despite any conditions that have developed to impede previous actions, phone operation can still be a way to make life easier.